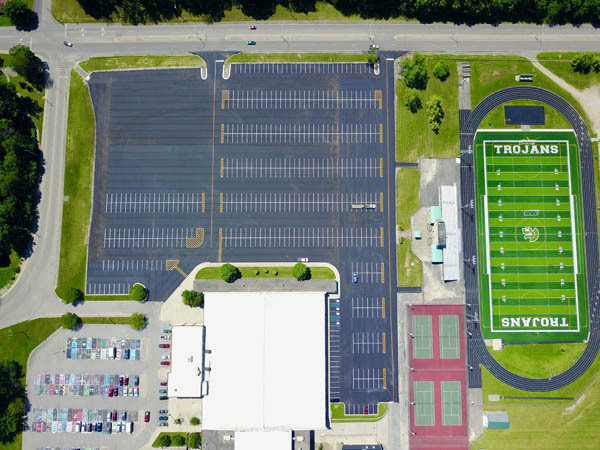 Parking Lots - Accurate Striping, Inc.
Situation: New Castle High School contracted a company to paving and seal coat their lot but needed a more in-depth look at the parking area flow and stacking solution so they reached out to Accurate Striping. 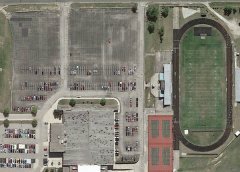 Task: The facility management and school officials asked for a design that would accommodate needed parking and leave a specific area to be marked for competition band rehearsal. 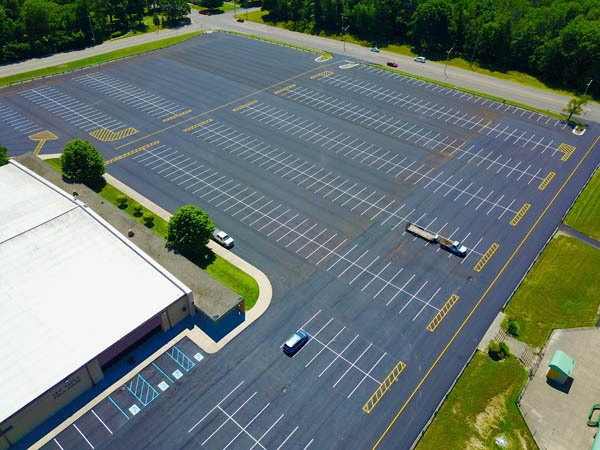 Action: Accurate Striping generated an efficient, beautiful design of space layout and installed markings on both new paving and seal coated surfaces. Result: New Castle High School expressed satisfaction initially as the design worked well for large events as well as day to day standard use. 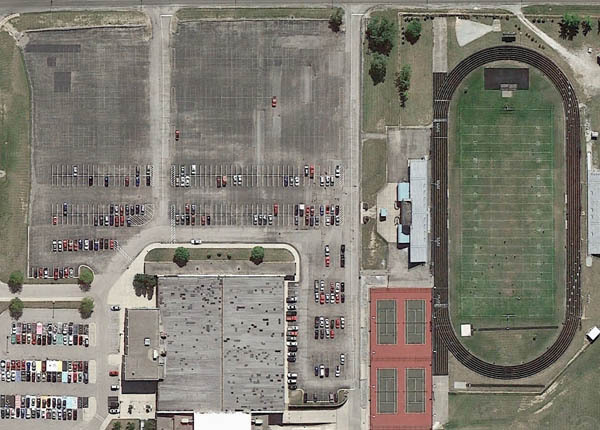 Initial client concerns that the previous striping had failed due to the incorrect material application were put to rest with a quality check-in with school personnel a year later.